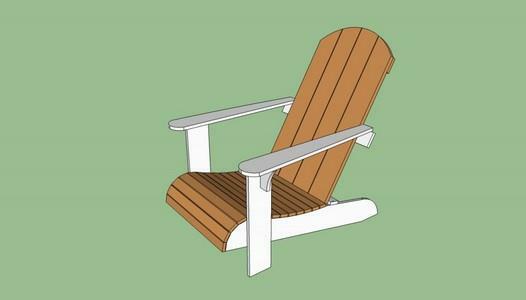 Build your own seating with these free woodworking plans for outdoor chairs - Adirondack, morris and more chair plans. 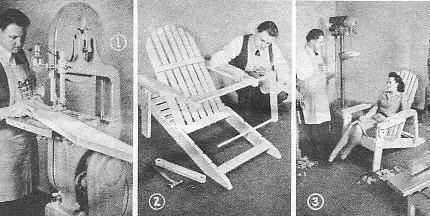 Click here for Indoor Chair Plans. 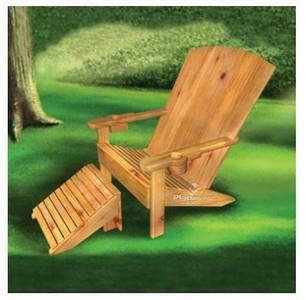 This plan uses weather resident lumber to create a handsome Adirondack chair with arm rest for comfy outdoor seating. 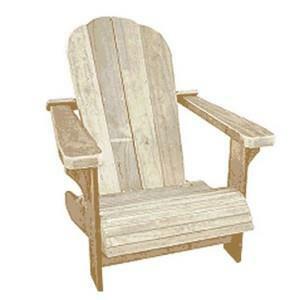 Make a child feel special by building a Adirondack chair just for him or her. 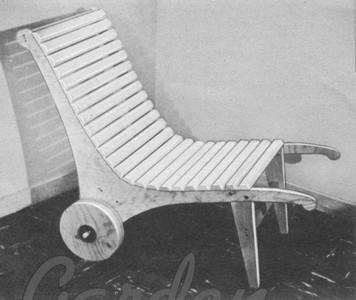 Chair includes a cup and umbrella holder plus a added foot stool. 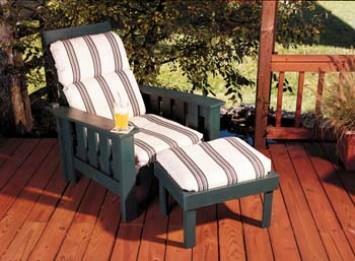 Stain or paint the chair to match your outdoor decor for a great addition to your patio or deck. 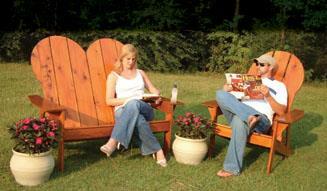 This bench styled Adirondack for two has a built-in center table for sitting drinks and/or food. Plan includes a list of tools, materials, cutting list and downloadable instructions. 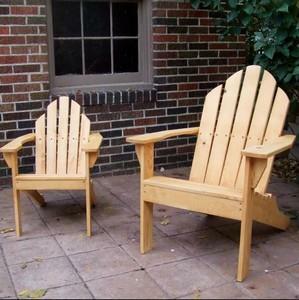 Here is the perfect woodworking project for the beginner. Basic tools and materials are all that is needed to create this attractive and comfy chair. Build an elegant, fan-shaped back and a comfortable, contoured seat using these instructions. 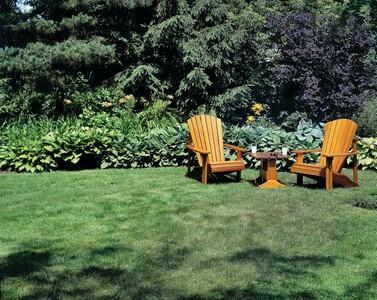 Here is a garden or patio furnishing that you will enjoy building. The sides are plywood, supported in back by with, surfaced wheels that will not dig into the lawn. 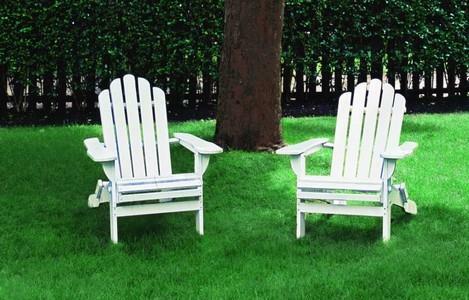 You can build two lawn chairs, a single-seater, or a two seater bench. They can be built in a weekend without specialty tools and using only basic carpentry skills. 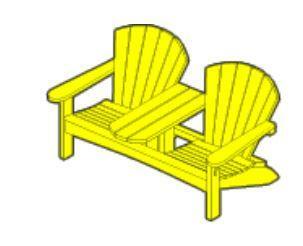 Over 20 free plans for adirondack chairs. Even free plans for adirondack lean to shelters. 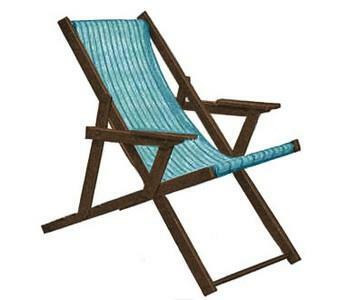 Build a very comfortable and attractive beach chair that can be made using just a few tools. The chair is constructed using treated pine and dressed or smooth treated pine. 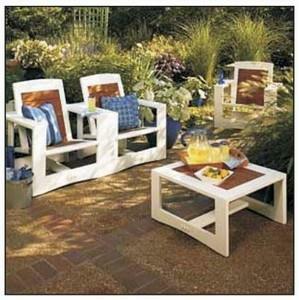 Easy to follow instructions to build outdoor furniture for your home. The advantage of this chair design is the folding action which allows you to fold the chair into a compact space for storage. This portable chair will look great in your yard or on patio.